A common feeder bird with clean black, gray, and white markings, White-breasted Nuthatches are active, agile little birds with an appetite for insects and large, meaty seeds. They get their common name from their habit of jamming large nuts and acorns into tree bark, then whacking them with their sharp bill to “hatch” out the seed from the inside. 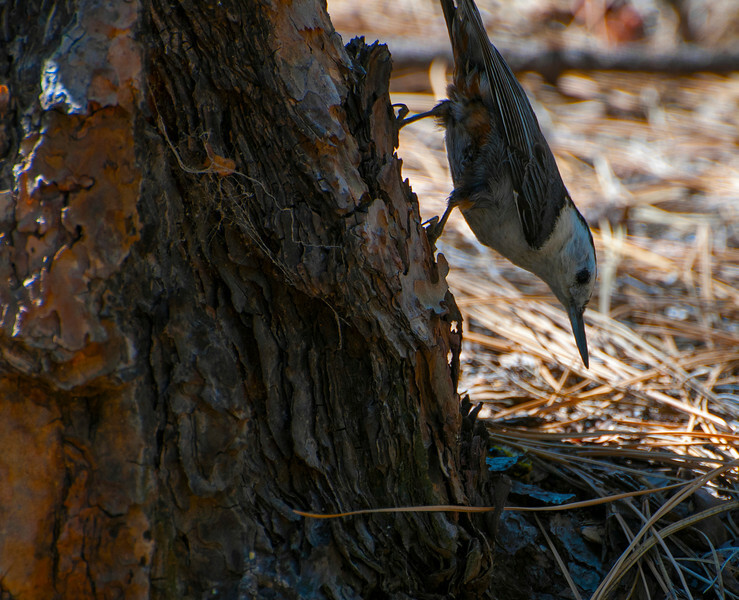 White-breasted Nuthatches may be small but their voices are loud, and often their insistent nasal yammering will lead you right to them.